Everyone you know and everyone you will ever meet is special and different in some way. The world would be a boring place if people were all the same. It’s our differences that make us all unique and interesting. That’s the starting point of the Autism Acceptance Book by Ellen Sabin, written to help elementary school students look beyond the often confusing surface to see what they have in common with classmates or friends with autism. 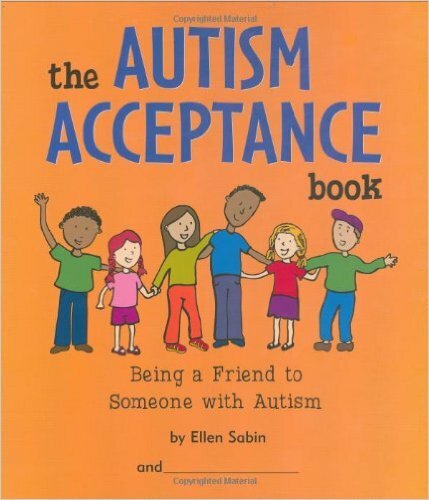 The direction this book takes is affirming and positive, starting with the perspective that a child with autism is “one of us.” The first section discusses the ways that all people are the same and different, and that everyone has their own unique strengths and weaknesses. Then the book takes a look at autism and the ways that people with autism may behave differently, and why. For example, sensory differences are connected with the way all of us can feel overstimulated at times. Behaviors are presented as both strengths and weaknesses – for example, covering ears may indicate very good hearing, and liking orderly spaces may be because of a strong ability to notice detail. Throughout the book are suggestions for being a good friend in various situations. All are respectful of the friend with autism’s perspective and ability. The book is laid out in an inviting, colorful workbook format, so it looks like it would be most useful with family members or friends. However, an innovative teacher could easily take the information and opportunities for self-reflection to help them work through the ideas with a class, and more effectively include a student with autism. 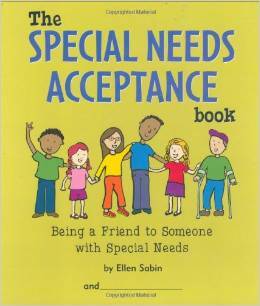 Ellen Sabin has also written The Special Needs Acceptance Book, for a more general audience but with a similar format. These books fit best with ages 7-12. 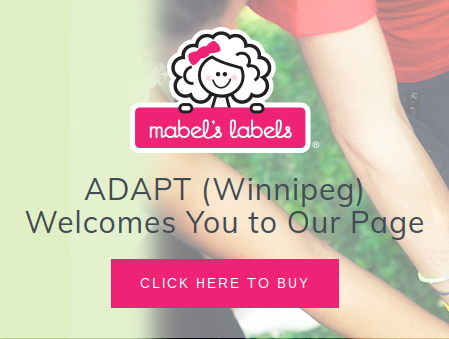 For another great resource explaining autism to children, check out this series from the parent blog, Mom NOS.